well trained for inside or out! Hugh and Saralinda officially adopted the seagull hatchery during November 2013 when the original parents, Ralph and Sally Hetzel, decided to retire. Well, they had nurtured the feathery flock from fledglings to teenager hood, creating many fans around New Zealand and to many corners of the world. If you would like a character in your back yard or over looking the BBQ area you have come to the right place! Each one is an original, made by hand. Look in to their eyes to find the perfect one for your place! 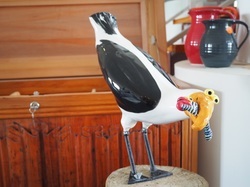 ​ The very first Black Backed designer Seagull was born in 1997 to adorn the newly built Wheelhouse Inn accommodation on the Port Hills in Nelson. Guests were enchanted and started requesting seagulls that they could purchase. 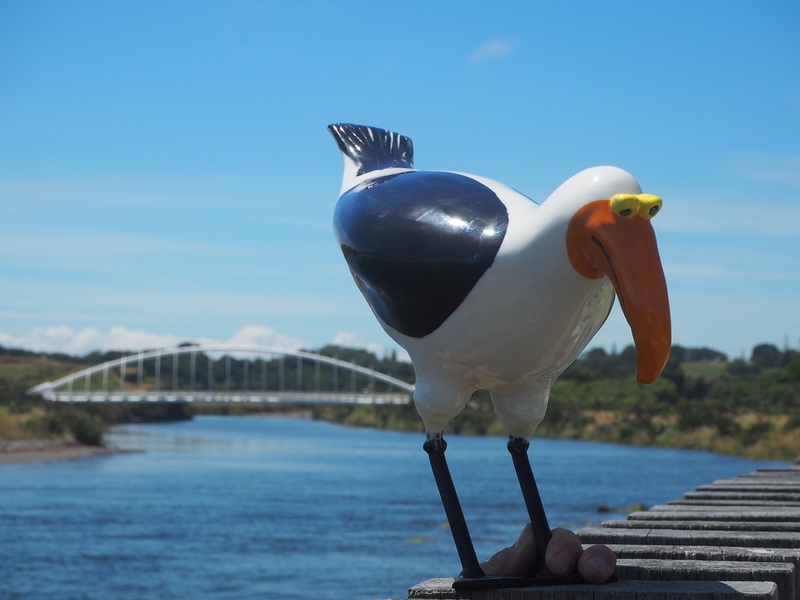 Word of mouth grew demand and over the next 16 years, seagulls have travelled to all corners of the world as a “momento” of their seaside holiday in Nelson. 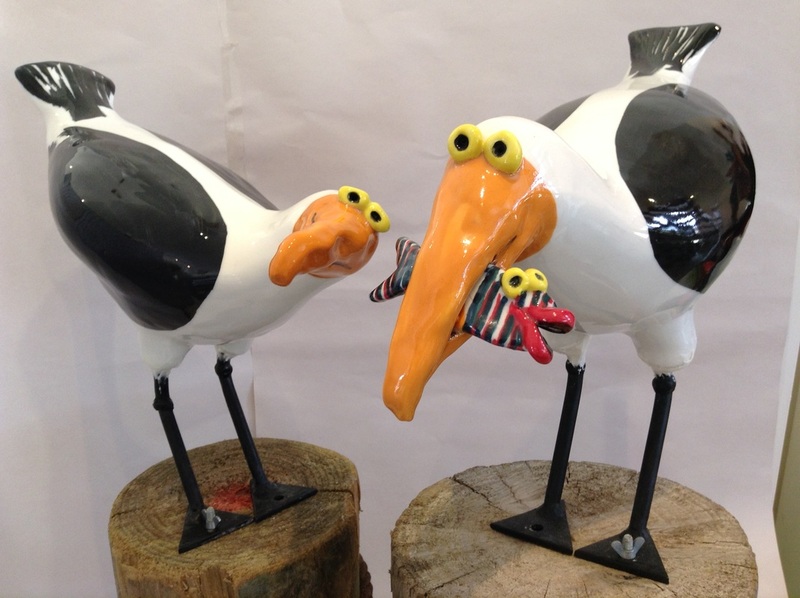 By 2013 Ralph and Sally were all ”gulled out” and the responsibility of hatching seagulls was transferred to us in nearby Richmond to continue the tradition. With Ralphs tutoring on site the transfer was a smooth operation. Clay for these special birds is now made on site and fired to a temperature that makes a very durable seagull. The colours will never fade!! Always has something to say! Migrating birds can end up anywhere. Safe arrival guaranteed!